The first weekend of June is here! For kids in the Boulder area, this means festivals, flowers, fairies, music, ballet, theater and so much more. Check out the new format to the weekend guide, divided into each day, as well as weekend-long events at the end of the post. Have a wonderful, fun, happy weekend! Downtown Longmont gives you the chance to dance in the street and enjoy great live music from local and regional artists this summer with their 10th Annual Downtown Summer Concert Series. Every Friday in June, concerts will be held along 4th Avenue between Main and Kimbark Streets from 6-9:30 p.m. Enjoy live music, local food, a craft beer garden and FREE admission under the stars of the Downtown Longmont Creative District. The concert series debuts on June 1 with FACE Vocal Band. Downtown Summer Concert Series happens every Friday night in June at 4th Avenue between Main & Kimbark Street in Longmont from 6PM – 9:30PM. Admission is always FREE. Don’t miss the 16th annual Whittier-Mapleton Garden Tour showcasing outstanding gardens in the Historic Mapleton Hill neighborhood. Tucked away from view, these remarkable sanctuaries aren’t open at any other time of year. Exotic plants, 140-year-old trees, terraced landscapes, roses in the finest shades, stunning stonework, and fountains will inspire your own gardening ideas, making your day memorable. Mature estate gardens, cutting edge water wise gardens and stylish small gardens will delight you with their diversity on this self-guided walking tour. The Garden Tour is held on the same day as the tremendously popular Mapleton Hill Rummage Sale. Check out the treasures to be had at the sale and then stroll some gardens. Then grab some lunch from a food truck at our central gathering place, the Hive! The Whittier-Mapleton Garden Tour will be held Saturday, June 2, 2018 from 9AM – 2PM. Pick up your tickets, map and “swag bag” at 840 Mapleton (corner of 8th and Mapleton, at the old Mapleton school). $15/Advance tickets for adults 12+, $20/At the door. Kids under 12 are FREE. Tickets available here. All proceeds support Whittier International Elementary School, tickets are tax deductible. Boulder Ballet is presenting a FREE concert of classical and contemporary ballet in the park. Pack a picnic and head to the park to this family-friendly summer evening event. Ballet in the Park is held at the Central Park Bandshell, 1212 Canyon Blvd, Boulder, CO on June 2, 2018 from 7PM – 8PM. Admission is FREE. What’s The Burning Can Festival at Lyons Outdoor Games? Adventure, Music, Craft Beer, & Rocky Mountain Revelry. For 2017 Oskar Blues & the Town of Lyons have combined two festivals to create the best weekend of the year. The Burning Can Festival promises to be the perfect weekend for lovers of adventure, beer, music, and camping. To start the day, you can take on a trail running relay with your best buds, take a mountain bike on the local single track, or laugh with the kids in a huge KidZone. As 60+ breweries start pouring their beers, festivalgoers can check out dog jumping, a slackline competition, or BMX dirt jumping while enjoying over 200 canned craft beers. Live music includes Mo Lowda & The Humble, The Sheepdogs and Son Volt. When the music ends, the lighting of the ‘Can’ caps off the night and the stars fill the sky as campsites are filled at the base of the Rocky Mountains. The mission of Burning Can at Lyons Outdoor Games is to raise funds and awareness for the Can’d Aid Foundation. The Burning Can Beer Festival will be held at Bohn Park, 199 2nd Ave, Lyons, CO 80540 on June 2, 2018 from 8:30AM – 11PM. Admission: $10 Adults, $5 Kids 5- 12, Kids 4 & Under are FREE. Tickets can be purchased here. The Taste of Louisville returns to celebrate Louisville’s amazing selection of food and drink! Attendees can check out Louisville’s fine restaurants, favorite local breweries, arts & craft booths, kid’s entertainment and informational booths from local merchants. Don’t miss the Louis-Palooza which features local bands performing at the Steinbaugh Pavilion. The Louisville Rec Center will be hosting “Touch a Truck” from 9:00 to 11:30 a.m. This will also be the opening day for the Louisville Farmer’s Market. Join hundreds of runners from all over for the Taste of Louisville Race at 8:30 AM. Runners will run through Historic Main Street in Louisville, right through all the action of the Taste of Louisville and continue on throughout the beautiful community of Louisville. Details here. The Taste of Louisville will be held on Historic Main Street, Louisville, CO 80027 on June 2, 2018 from 9AM – 4PM. Admission is FREE. Bring your family, friends, blanket or lawn chair and join the Town of Erie Parks & Recreation Department for two fun movies in the park this June. On June 2, the movie Sing will be playing, and on June 14, Star Wars: The Last Jedi will be playing! There will be fun themed activities or a craft prior to the start of each movie. Movies will begin at dusk (around 8:30 p.m.) on the Civic Green at the Erie Community Park. Sweet treats will be available for purchase from Kona Ice and Vanilla Bean Pastry Truck. Erie Movie in the Park is held at Erie Community Park, 450 Powers St, Erie, CO 80516 on June 2, 2018 starting at dusk, around 8:30PM. Admission is FREE. Head on down to Pearl Street and join in the free one-day celebration of arts and culture sponsored by JewishColorado, Rose Community Foundation, SCFD, and Sloat & Nicholson P.C. Ari Lesser will be the guest MC. Featuring live musical entertainment including the The New Orleans Klezmer All-Stars, Eig8th Day and more. See beautiful works of fine art and Judaica, and enjoy delicious ethnic food. Explore a variety of community organizations and participate in activities for all ages. Kid-friendly! Visit http://boulderjewishfestival.org/ for more information. The Boulder Jewish Festival will be held at the Boulder County Courthouse Lawn & Pearl Street Mall, 1325 Pearl St, Boulder, CO 80302 on Saturday, June 3, 2018 from 11AM – 4PM. Admission is FREE. Fiske Planetarium is located at 2414 Regent Dr, Boulder, CO 80309. The Double Feature will be held on June 3, 2018 from 1PM – 2PM. Tickets are $7 for kids, seniors & veterans/ $10 for adults, available for purchase here. Join Aspen the Fairy and her magical friends at the Festival of Faerie in Lafayette. There will be glitter, parades, and local vendors. The schedule includes a parade at 10AM, costume contest at 4PM and closing ceremonies at 5PM. Put on your wings and come on down to Festival Plaza in Lafayette for a fun, magical afternoon. 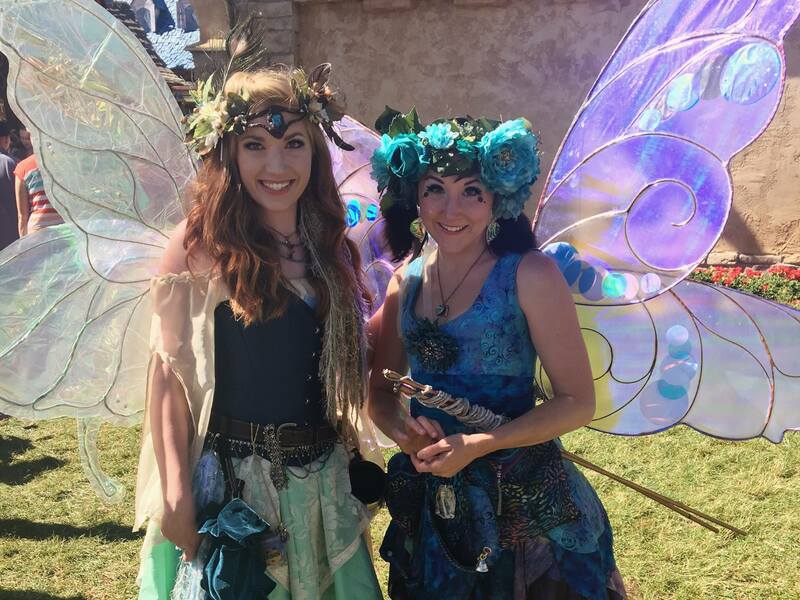 The Festival of Faerie will be held at Festival Plaza in Lafayette: 311 S Public Rd, Lafayette, CO 80026 on June 3, 2018 from 10AM – 5PM. Admission is FREE. Guided quest is available for $5/person. Discover, learn and have fun on the Superior trail system with a morning of cool activities sponsored by the Open Space Advisory Committee. For National Trails Day, join the bike ride at the Coalton Trailhead at 8:15 AM, see a bald eagle, owl and hawk with Hawk Quest from 9AM-10AM, touch a live snake with the Center for Snake Conservation from 10:15AM-11:15AM. Take a wagon ride on the open space just like the pioneers from 10AM – 12PM. Also, learn about trails with the Boulder County Rangers, talk about Leave No Trace with the Boy Scouts. Don’t forget to bring a hat, sunscreen, water bottle, chair and your love for trails! National Trails Day will be held at the Coalton Trailhead – McCaslin Blvd. and Coalton Road on June 3, 2018 from 9AM – 12PM (Bike ride at 8:15AM). Event is FREE. At Mountain Strong: Family Yoga & Storytelling Workshop, families practice with their children to develop important social-emotional tools to de-stress, have fun, get creative, and sleep better. Kids and their adults come away with: self-compassion, practical tools for daily self-care practice, & the ability to focus on what is important to them. Workshop includes: a variety of yoga techniques as well as games and creative storytelling. Hosted by June Lucarotti, MFA CYT-200, an elementary educator for 16 years, with 7 of those years in the Boulder Valley School District. June is a certified yoga instructor, published author, and holds a Master’s in Writing & Poetics from Buddhist-inspired Naropa University. Workshop available in Spanish & English. The workshop will be held at Schilz Martial Arts and Kickboxing, 297 US-287, Lafayette, CO 80026 on June 3, 2018 from 2PM – 5PM. The Little Mermaid will be at the Boulder Dinner Theater until September 8, 2018. The Boulder Dinner Theater is located at 5501 Arapahoe Ave, Boulder, CO 80303. Schedule varies, click here to see full schedule. Tickets $40 – $67, available here. This weekend, the Boulder Public Library (Main Library) will be holding a used book sale with tons of children’s books as well as adult fiction, history, self-help, art books, cookbooks, and more. Books $1 to $2. Children’s books special – two for for $1. The used book sale will be held in the Boulder Creek Meeting Room, Main Branch, Boulder Public Library, 1001 Arapahoe Ave, Boulder, CO 80302 on June 2 from 10AM – 5:30PM & June 3, from 12PM – 5:30PM.